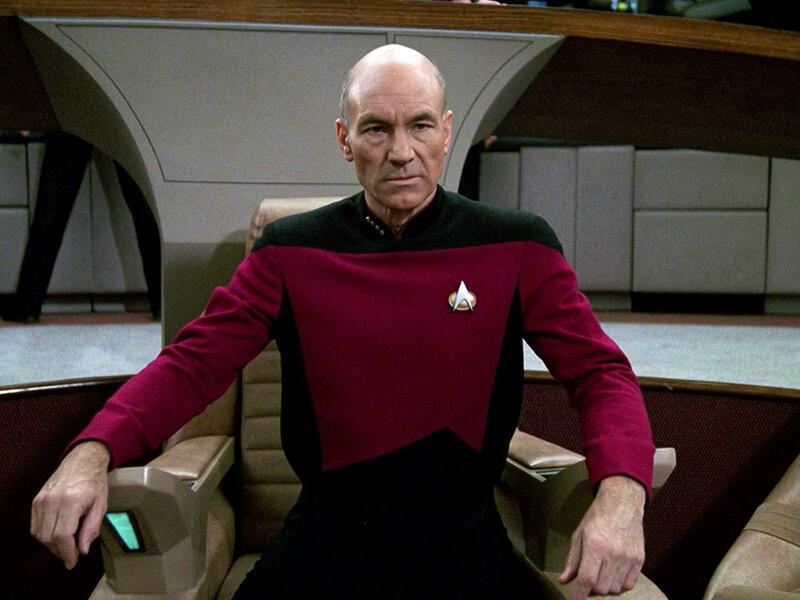 CBS announced Saturday that Patrick Stewart will reprise his iconic role of Jean-Luc Picard in a new "Star Trek" series. It will be streamed on CBS All Access. The still-unnamed series will explore the "next chapter" of Picard's life. Stewart played the Enterprise captain in the TV series "Star Trek: The Next Generation" (1987-94), and in several feature films. He last appeared in the role in the movie "Star Trek: Nemesis" in 2002. Stewart, who will also be an executive producer of the show, described it is an "unexpected but delightful surprise" to reprise the role after, he thought, it had "run its natural course." He said it has been "humbling" to hear from fans about how Picard has helped and inspired them. "I feel I'm ready to return to him for the same reason — to research and experience what comforting and reforming light he might shine on these often very dark times," Stewart said in a statement. "I look forward to working with our brilliant creative team as we endeavor to bring a fresh, unexpected and pertinent story to life once more." The news was announced at the 2018 Star Trek Convention in Las Vegas. "Discovery" executive producer and co-creator Alex Kurtzman will also serve as an executive producer. "Discovery" will return to CBS All Access in January. Season 1 is currently streaming on CBS All Access. Watch a trailer for Season 2 below.